Have you ever just looked in the mirror and wished that your hair was naturally wavy or curly? It would give your hair so much more bounce and life, not to mention make you look effortlessly gorgeous. However, not everyone is blessed with a head full of natural curls. While you can’t do anything to change what genetics has given you, you can always just cheat the effect with a hair curling wand. In this day and age, we have all sorts of hair products and tools that can transform our luscious locks with just a few steps. Curls are easily achievable even if you’ve got ramrod straight hair. If you’ve been dreaming of curls all your life, the best curling wand will make your dreams into a reality. Every day will be a great hair day when you can add some beautiful waves and bounce. Curling wands are extremely popular these days and even celebs love them. The only hitch here is that there’s so many curling wands available in the market so it can be tricky to know where to start. Which is where we come in. In this article, we’ve gathered the top rated curling wands and our reviews for them here. You’ll need to be sitting down for this because this curling wand will blow your mind. The Irresistible Me 8-in-1 hair curling wand is one that you’ll be obsessed with immediately. You can create so many looks and styles that your friends will swear that you must wake up in a hair salon. The Irresistible Me curling wand is versatile, effective, and long-lasting. Your beautiful curls will last all day when you set them right. Get elegant waves to fun corkscrew curls in no time with the Irresistible Me. 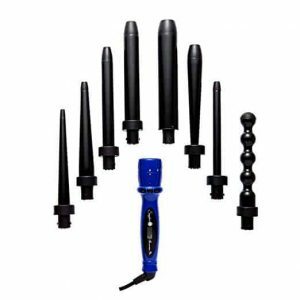 One of the main benefits of getting this curling wand is that you don’t just have one wand but eight wands, all of different thickness and shape. Each of the different interchangeable barrels are expertly crafted for a certain curl. You can even use two types of barrels on your hair for an additional bounce. You don’t have to wait long to use this curling wand. Plug it in, turn it on, and less than half a minute later, you’re good to go. It heats up fast and you control how hot it gets. Unlike other curling wands, the Irresistible Me doesn’t damage your hair over time because of the material it’s made of. This product’s barrel uses negative ions so you won’t get frizzy hair no matter how many times you use it. Not only does it have a LED screen where you can manually adjust the temperature of the curling wand, it uses a swivel cord that makes it easy for you to curl your hair whichever way you please. Because it’s so versatile and sturdy, it shouldn’t come as a surprise that this curling wand comes at a price. You might be a little daunted by the price tag but, once you try it out yourself, you’ll agree that it’s well worth it. While the Irresistible Me curling wand works well enough to curl your hair to different styles, when compared to curling wands that professionals use, it’s pretty tame. 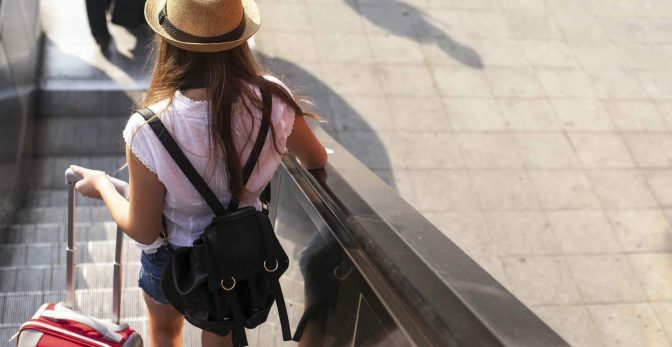 Its highest temperature is comparatively low though it’s mainly to help users avoid burning their hair. The main complaint for this curling wand is that it doesn’t come with an attached stand so when you use it you can easily put it down on a flat surface without damaging anything. The base of the wand might be sleek and easy to grip but without a stand users have expressed difficulty of resting it properly while they’re working on their hair. When you’ve got fine hair, you might find it a bit tricky to get your curls to stay put which is why finding the ideal curling wand for your hair is imperative. 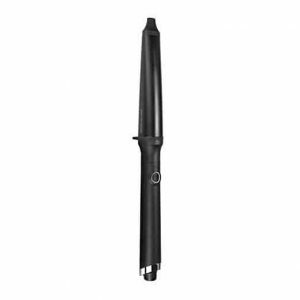 The GHD Creative Curl Wand is one such curling wand. It heats up fast and can reach up to 365 F, the optimum styling temperature. And you know you can count on this beauty because it’s from GHD, a brand that is huge in Europe and beloved by celebrities worldwide. What makes the GHD Creative Curl Wand a cut above the rest is its oval-shaped barrel that allows the user to achieve the perfect curl each and every time. It even has a protective tip that remains cool so you can hold your hair in place without burning your fingertips. This curling wand uses advanced hair curling technology that lets it reach the optimal curling temperature in less than 25 seconds. The Tri-zone barrel delivers heat as evenly as it can so the entire length of hair is treated. This curling wand is very durable so you’ll be able to use it for many years to come, granted you take care of it properly as well. While the GHD Creative Curl Wand’s fast heating barrel is a major advantage, if you’re not too careful, you might accidentally burn your fingers while working your hair. Because of its design, this curling wand is better for people with long hair. Those with shorter hair might find a harder time using this wand. It’s no secret that this curling wand will cost you a pretty penny. But considering how great it is and how much use you can get out of it, you can think of it as a worthwhile investment. While a lot of people love having long and luxurious hair, it can be a real pain getting such long locks curled. You have so much hair to work with so getting the perfect curls and waves takes major effort. That is unless you have a Nume Pearl Curling wand. Nume has a reputation for developing high quality hair tools and hair products but their curling wand is one of the best out there, especially if you have lengthy tresses. Nume uses far infrared heating which means that it’s far less damaging to your hair while also reducing the time needed to style. The heat penetrates each hair strand from the inside out so the curls are more pronounced too. Another thing that makes this curling wand so great is the material used for the barrel. The tourmaline ceramic uses negative ion that can greatly boost your hair’s natural shine. Even if you curl your hair daily, you’re not at risk of drying out or damaging your hair because of the safe tourmaline ceramic barrel. You’ll notice that the Nume Curling Wand looks way different from your average curling wand. The spherical shapes let you get more natural looking curves. Because of its size and shape, the Nume pearl curling wand is ideal for long hair. It can even carry a lot of volume. This pearl wand isn’t as hefty as other curling wands in the market which means you’ll be able to style your hair without tiring yourself out. A major bonus especially if you’re going for a more intricate look that day. The fast heating feature of Nume is definitely a plus but it also has the added risk of burning you. And since this curling wand can reach up to 410 F in mere seconds, you need to be extra careful in handling yourself. If you want your curls big and beautiful, you’ll need the right kind of curling wand. The Kadori will most definitely exceed your expectations. With its sleek look and easy to grip handle, you’ll be reaching for this curling wand regularly before you even know it. The Kadori comes with a barrel big enough for you to create the perfect big and bouncy curls. The barrel is extra long too so it can accommodate even the longest of hair. You’ll save yourself the trouble of constantly untangling the cord as you’re curling your hair because this curling wand uses a swivel cord that swivels as you turn it. It’s such a small and simple touch but it can greatly improve your experience. You might think we’re crazy since the very purpose of a curling wand is to curl straight hair, not the other way around, but hear us out. The barrel for this wand is so big that you can actually glide it down your hair to smooth it straight. 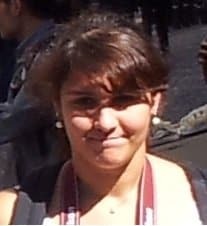 And, if you want, you can even give the tips of your hair a slight curl for that casual look. It’s crazy how this curling wand can hold up against even the best hair straighteners. While this curling wand might be big and bold, it’s not as sturdy as the other curling wands in this list. Users have also complained that the tip of this curling wand that remains unheated is pretty small which makes increases the risks of getting burned. Unlike other curling wands out there, the Perfectwo hair curler comes with a lot of style. Not only does it look good, it works wonders with your hair. Because of its conical shape, you can easily control how tight or how loosen your curls. 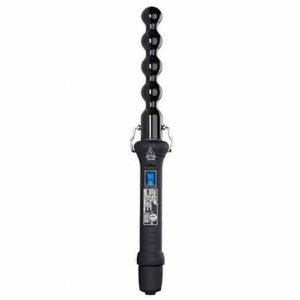 You can get the smoothest salon quality finish with your curls using this curling wand. The base of this wand has a display that shows you the exact temperature. You get to control how hot you want the barrel to be. The gracefully tapered shape means that you can essentially get as many kinds of curls as you can imagine. From tight ringlets to loose twists, you can transform your hair any way you want with this curling wand. A common complaint about this curling wand is that the curls don’t seem to stay as long as those made by other wands. Of course, you can always use a little bit of hairspray to make the curls last a bit longer. This curling wand takes a bit of time to get used to and you need to be extra careful to avoid getting burned. Having thick hair can be a real blessing but also quite a curse. Sure you look amazing in many hairstyles but it can take you so long to get all of your hair the way you want it to look, especially when it comes to curls. However, with the Remington curling wand, things are so much easier. A major advantage to this curling wand is how fast it can reach the right high temperature for styling. And when you’ve got a lot of hair to cover, speed is vital. Using exclusive technology, the Remington boasts of offering curls that are smoother and longer lasting. The Pear Ceramic coating does wonders for your hair! The digital controls on the base of this wand make it a breeze to raise the temperature or bring it down a notch. Compared to the other curling wands in this list, the Remington is quite budget-friendly, especially considering its quality. Probably the only downside of the safety glove that comes with the Remington has been described as too cumbersome and too thin to be of any practical use. Our advice is to buy another glove to avoid any accidents. The first thing you’ll notice about this curling wand is its unconventional shape. The Bed Head looks almost like a baseball bat with its reverse conical shape. However, don’t be fooled by its looks. The Bed Head packs quite the punch. The conical styler makes it easier to curl your hair around the barrel and keep it there without the section of hair sliding off. This curling wand gives you curls to die for! Its reverse conical barrel lets you have natural-looking curls. The barrel heats up rapidly so you’ll waste no time at all once you plug it in. Its conical shape makes it so much easier for you to wrap your hair around the barrel without burning your fingertips. Because of the material it uses, the Bed Head allows you to get curls without frizz and promotes your hair’s natural gloss. Unfortunately, this curling wand’s handle gets hot as you use it which can be a bit annoying. Not so hot to burn but enough to cause a bit of discomfort. If you aren’t so adept in curling your own hair, you might want to skip the Bed Head since it’s all too easy to singe your hand with this wand. Unlike other curling wands, the Bed Head doesn’t allow you to control its temperature. Lastly, we’ve got a curling wand that’s best for ladies on a budget or those not yet sure if curls are for them. Conair hair products are quite reliable and their curling wand is no different. For such a low price, you really get a lot out of this product. The tapered barrel lets you style curls of many shapes and sizes. Like many great curling wands, you’ll only have to wait half a minute to use this curling wand. Plus, the maximum temperature for this Conair curling wand is 400 F. Incredible! You’ll also have five different options as to how hot you want the barrel to be. While the Conair curling wand can curl your hair effectively, the curls won’t keep its shape for very long. Most find that the curls have drooped by the end of the day. People have also expressed difficulty in adjusting the settings while they’re curling their hair because of the awkward placement of the buttons. Before we get to the list of the best curling wands and our thoughts on each of them, let’s first differentiate a curling wand from a curling iron. Some people might mistake one for the other or, worse still, not even know the difference. Curling irons are quite easy to distinguish from curling wands. You see, curling irons have a clip to hold the hair in place as it sets the curl while a curling wand is simply a long barrel that heats up so you’ll need to hold the ends of your hair too with your hand. From that description alone, you might think that curling irons are better and safer than curling wands. After all, you wouldn’t want to accidentally burn the tips of your fingers all in the pursuit of perfect curls, right? Curling irons might seem like the more convenient option but the way it’s designed almost certain assures you that there will be at least an inch of your hair left uncurled. Moreover, curling irons tend to leave kinks or lines. The clip of the curling iron might have some benefits but not without a cost. On the other hand, curling wands afford you the freedom that you can’t get with curling irons. Every last inch of your hair can be curled with a curling wand. Plus, curling wands have been known to work faster than curling irons. With all that said, when it comes to a hair curling tool, the curling wand is the clear winner. First things first, not all curling wands are made equal! Some are great for bigger curls while others are ideal for tighter curls. When it comes to find the best curling wand for you, size matters. There’s also the matter of how hot the wand can get and how quickly it heats up. You’ll also need one that’s easy to use and made out of quality material. For those who love those big loose curls, you’ll want a a curling wand with a thicker barrel. But for cuter, tighter curls, a thin barrel wand should do the trick. The great thing bout technology is that there are now curling wands that allow you to control the heat with a flick of a switch. The wand can get cooler or hotter easily so you don’t have to worry about those curls flopping. 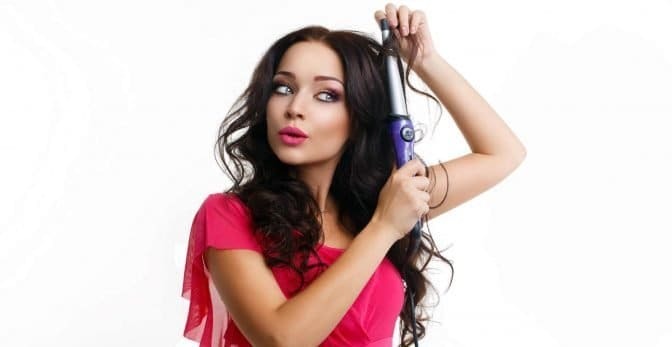 Hair stylists typically recommend that you avoid curling wands made out of metal since they’re the ones that have the most risk of damaging your hair. Materials like tourmaline and ceramic are preferable since they’re not as harsh on your tresses. And hey, if you get tired of waves and curls, you can also check out our electric hair straightening brush reviews.